Information on this web site is provided for informational purposes only and is not intended as a substitute for the advice provided by your physician or other healthcare professional or any information contained on or in any product label or packaging. You should not use the information on this web site for diagnosing or treating a health problem or disease, or prescribing any medication or other treatment. 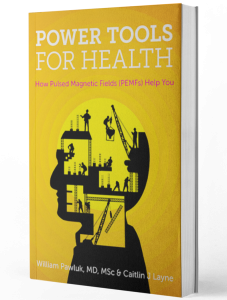 You should always speak with your physician or other healthcare professional before using any magnetic product or system, based on material herein, taking any medication or nutritional, herbal or homeopathic supplement, or adopting any treatment for a health problem based on material herein. For any products or services recommended on this web site, you should read carefully all product packaging and instructions you purchase or intend to purchase. If you have or suspect that you have a medical problem, promptly contact your health care provider. Never disregard professional medical advice or delay in seeking professional advice because of something you have read on this web site. Information provided on this web site and the use of any product or service from our web site by you DOES NOT create a doctor-patient relationship between you and any of the physicians or health professionals affiliated with our web site. Information and statements regarding devices or dietary supplements discussed herein have not been evaluated by the Food and Drug Administration and are not intended to diagnose, treat, cure, or prevent any disease. All Content is copyrighted as a collective work under the United States copyright laws, and we own a copyright in the selection, coordination, arrangement, and enhancement of such Content. All material provided on the DRPAWLUK.COM web site may be copied and/or disseminated in its original format for educational or informational use only. Use of the Content on this web site and/or in our e-newsletters, including reproduction for purposes other than as noted above, modification, distribution, replication, commercial or other use, without our prior written permission, is strictly prohibited. We respect the intellectual property of others, and we ask our users to do the same. If you believe that your work has been copied and is accessible on our web site in a way that constitutes copyright infringement, you may notify us by email. All material provided on the DRPAWLUK.COM web site is provided for educational or informational use only. We suggest you consult an appropriate health care provider regarding the applicability of any opinions or recommendations with respect to your specific situation or medical condition. Links are provided solely as a service to our users, and in accordance with the Terms and Conditions. Although DRPAWLUK.COM desires to provide complete and accurate information on its web site, DRPAWLUk.COM makes no warranties, express or implied, about the accuracy, reliability, completeness or timeless of the information and links found on the web site. The web site and information are provided on an ‘as is’ basis without any express or implied warranty of any kind. To the fullest extent permitted by law, DRPAWLUK.COM disclaims all warranties, including the warranty of merchandise, and non-infringement of third party rights. We respect your privacy and reserve the right to monitor our web site and to disclose any information recorded or posted on, submitted to, or transmitted through our web site to the extent that we, in our sole discretion, deem such disclosure necessary or appropriate to comply with any law, regulation, subpoena, or government request, to operate our web site, or to protect our rights or property or the rights or property of our users. We control our web site from our offices within the United States. We make no representation that the Content on our web site is appropriate, legal or available for use in other locations. Those who choose to access our web site from other locations do so on their own initiative and are responsible for compliance with applicable local laws. You may not use or export the Content in violation of United States export laws and regulations. Any claim relating to our web site, the services provided through our web site or the Content shall be governed by the internal laws of the state of Maryland, without reference to its choice of law provisions. If there is a dispute between you and us, you expressly agree that exclusive jurisdiction and venue reside in the state and federal courts located in Maryland.